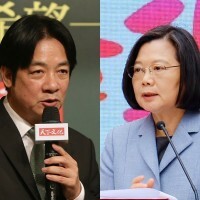 TAIPEI (Taiwan News) - The Democratic Progressive Party (DPP) and Kuomintang (KMT) candidates declared victory in their race for the legislative seats vacated during last year's local elections in Taipei and Taichung, respectively. In Taipei, the DPP's Ho Chih- wei (何志偉) declared victory Sunday in a legislative by-election for the seat representing Taipei's 2nd electoral district in Shilin and Datong Districts. 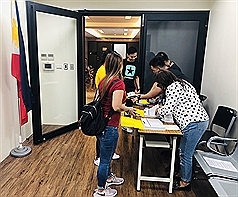 Among Ho's opponents was independent candidate and the former commissioner of Taipei's Department of Information and Tourism, Chen Su-yu (陳思宇), who was hand-picked by Taipei Mayor Ko Wen-je (柯文哲). 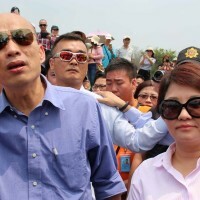 Chen conceded at 5:30 p.m. as she trailed far behind Ho and the Kuomintang's Chen Ping-fu (陳炳甫), both of whom had garnered over 30,000 votes, while she had received less than 10,000. 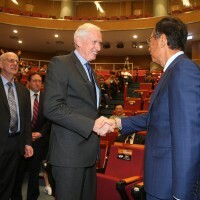 The seat was left vacant by the DPP's Yao Wen- chih (姚文智), who gave up his position as a legislator while making an unsuccessful run for Taipei mayor last November. 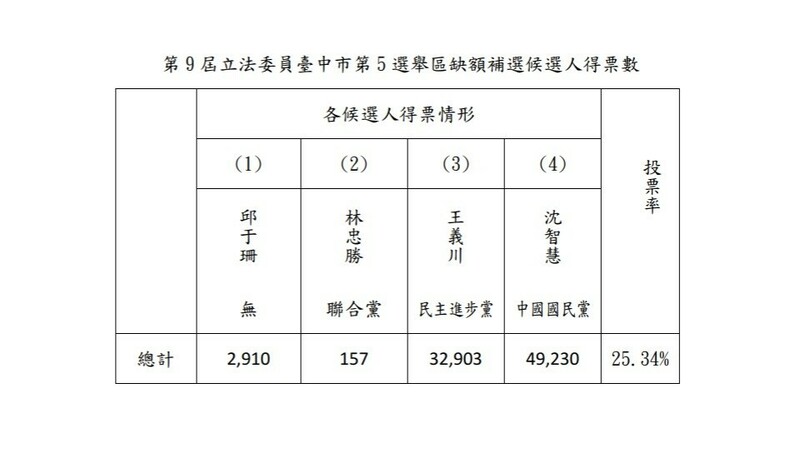 Official Central Election Commission results for Taipei. In Taichung, the KMT's Shen Jhih-hwei (沈智慧) declared victory in Taichung's 5th electoral district. 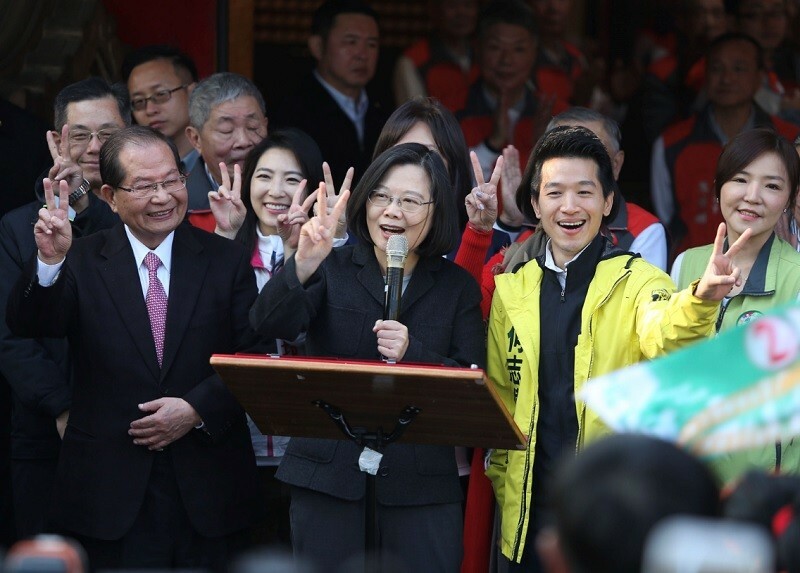 Shen will fill the vacancy left by Taichung Mayor Lu Shiow-yen (盧秀燕), who resigned as a legislator a week before winning her bid for mayor. 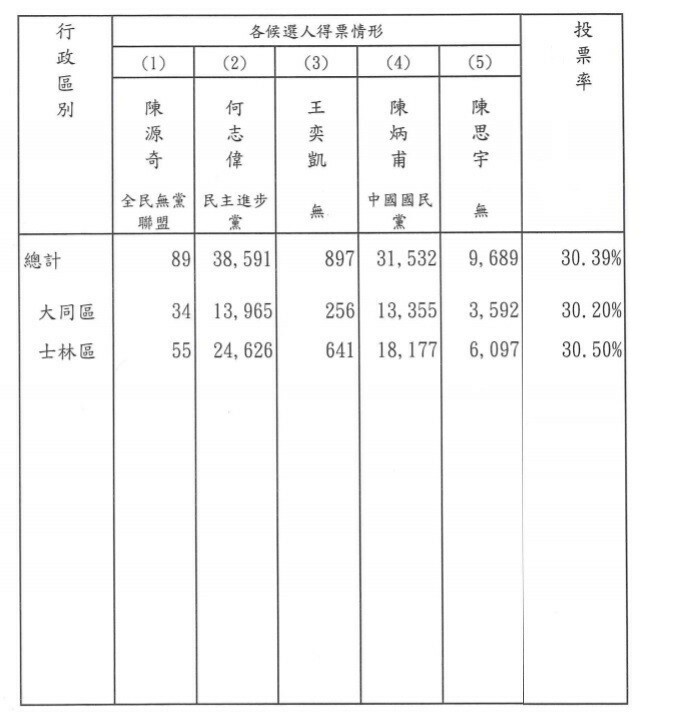 Official Central Election Commission results for Taichung.